I've been using nightlies because it offers me 64bit HEVC decoding on Windows. This issue started about two weeks ago, it's also present in Alpha 1. Mainly Kodi just crashes about 2-5 items into any playlist when starting the new file. I'm pretty sure it's on playback of the NEW file since the file that finishes is safely marked 'watched' and all that before Kodi crashes. It's quite the pain though if Kodi can't play a few items without crashing. Full log here don't worry, no banned addons, everything is played off SMB. But I'm not sure how useful the log will be, looking at it, nothing seems to go wrong, it just seems to end. There's a known issue that kodi crashes if the playback of a video ends which could be related to your problem. The devs are working on it. (2018-03-11, 00:23)DaVu Wrote: [ -> ] Thanks for your report!! So this is caused by the conclusion if the file, not the start of the new file? That would explain why when I tried to skip through a playlist after only watching a few seconds of each item, I couldn't replicate a crash. This is actually the same issue I've been experiencing and reported in Ticket #17795. The cause is a memory access to an area that was already freed. The file definitely has to have been playing for a while to cause a crash... I couldn't replicate it through skipping towards the end either. A Playlist, however, is not necessary, it just seems to increase the likelihood of it happening - merely watching a single file can crash Kodi as well. So how can I follow the progress on this? 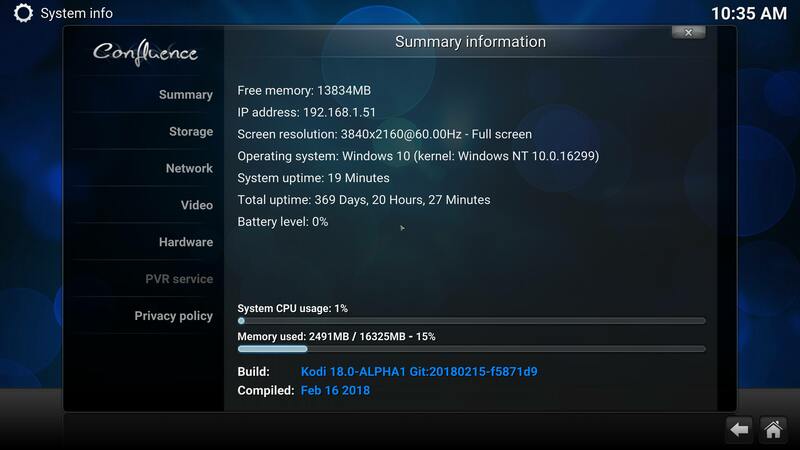 I'd like to support development by reporting bugs on the alpha/beta stages, but with Kodi effectively in an 'unusable state' due to this bug, I've reverted to an older nightly which I might as well stay on until Kodi reach the end of a file without crashing. @DJ_Izumi Can you tell us what version you are using that is not suffering from this issue? (2018-03-19, 12:50)ginkgobitter Wrote: [ -> ] @DJ_Izumi Can you tell us what version you are using that is not suffering from this issue? I can say for this, this Windows x64 Nightly build -does- work without that issue. Obviously I can't tell for sure what else DOESN'T work, it is a nightly and we're using them at our own risk. I also don't know which versions later than this are fine. But I'm going to sit on this nightly until someone else says that Kodi can again play more than a handfull of files without crashing. It appears that this problem was fixed - KodiSetup-20180318-277d75c1-master-x86.exe has been working stable for half the day already. I'd assume the same would be true for the x64 build.